The news accounts following last week’s FBI raid on the offices of Ald. Edward Burke have generally characterized Burke’s role during the Harold Washington administration as obstructionist. Burke and the rest of the City Council’s white machine faction, the so-called Vrdolyak 29, certainly blocked every Washington initiative. As many as 80 mayoral appointments dubbed the “Council Wars hostages” were held up for years and numerous boards were run by members whose terms had expired. In 1985, three expired Chicago Park District board members (a fourth had died and not been replaced) approved a contract renewal for Supt. 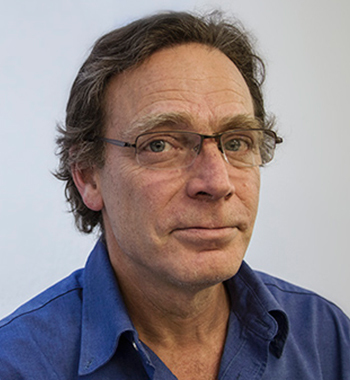 Ed Kelly, the 47th Ward machine boss and patronage chief whose practice of concentrating park resources in white areas had been exposed by the Chicago Reporter a decade earlier. But for Burke it went beyond parliamentary maneuvering. By several accounts, Washington distinguished between Burke and former Ald. Edward Vrdolyak, the majority faction leader. Vrdolyak was “not a racist, he’s a bully” who would gladly “use race” toward his ends, Washington told press secretary Alton Miller, as reported in Miller’s book, Harold Washington: The Man, The Mayor. “Burke is a racist,” Washington said. Ald. 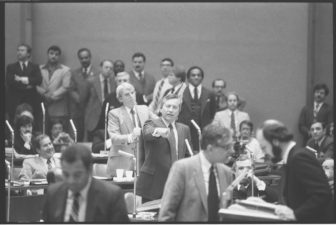 Edward Vrdolyak (standing, center) gesturing during a meeting of the Chicago City Council with Mayor Harold Washington, as Alderman Edward M. Burke stands behind him on May 11, 1983. Indeed, it was systemic racism – a ward map was eventually found in federal court to discriminate against minorities to protect white incumbents – that gave Vrdolyak his council majority and enabled him to replace the city’s first black finance committee chair, Wilson Frost, with Burke. Today Burke is noted for his representation of Donald Trump, winning property tax reductions that cost local taxpayers $14 million. In a longer view, though, Burke’s scorched-earth politics of vitriol and hatred during the Council Wars presaged the strategies of our current president. The goals of Burke and Vrdolyak, as Miller describes them, were three-fold: to constantly “impugn Washington’s integrity,” to deride him as lazy and incompetent and to promote division and discord. Burke used his position as finance chair, with access to documents even the mayor didn’t have, to issue a near-daily drumbeat of accusations that Washington’s efforts at affirmative action were “reverse discrimination” and a new form of cronyism, and that Washington was a fake reformer and the boss of a new machine. The media went along, reporting the charges and denials without evaluating them. Burke and Vrdolyak used controversies over Louis Farrakhan to try to divide blacks and Jews, used issues with new affirmative action programs to try to divide blacks and Latinos, and repeatedly accused Washington of being gay, hoping he would deny the charge and alienate LGBT supporters. Washington didn’t take the bait. Just as Trump used “birtherism” to challenge the legitimacy of the nation’s first black presidenct – inspiring white racists and insulting proud African Americans across the country – Burke filed a lawsuit challenging Washington’s right to hold office, after a staff error delayed the filing of an ethics statement. Beyond that, Burke employed personally contemptuous language to attack Washington. With the backdrop of police records doctored by a Vrdolyak operative during the 1983 campaign purporting to show that Washington had been arrested on child molestation charges, Burke exploited a report of youthful arrests of Washington aide Clarence McClain to the hilt. McClain had been charged with pandering in his early 20’s and the Chicago Tribune also reported that he’d been charged with contributing to the delinquency of a minor. The real culprit, the Chicago Lawyer later reported, was another person named McClain. McClain left the administration after the revelations. On a more mundane level, there is Burke’s record as a steward of the city’s finances. He supported Mayor Jane Byrne as she ran up huge deficits and drove the school system into bankruptcy. Installed by Vrdolyak as finance committee chair, he tried to sabotage the most fiscally responsible mayor in the post-Reagan period, when federal support for cities began shrinking. Removed by Washington after his re-election, he was reinstalled after Richard M. Daley was elected in 1989. We don’t know what’s behind the FBI investigation of Burke. His Trump connection sank the reelection of his brother, State Rep. Dan Burke, last spring and inspired a number of young challengers in his Latino-majority ward, where for the first time in his political career he is in trouble. Meanwhile, the law practice that made Burke a wealthy man has helped shift the tax burden further onto Chicago’s homeowners. But Chicagoans have to ask: what does it say about us that this man has remained so powerful in this city for so long? 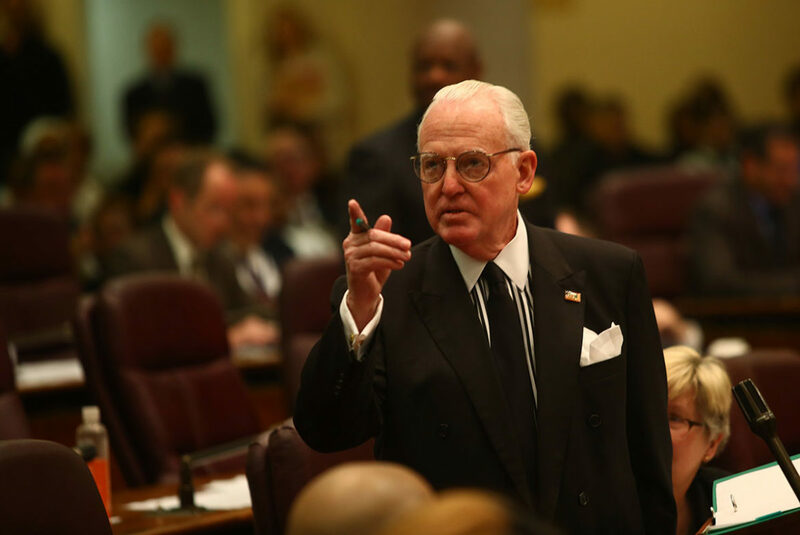 And what do we do with all the mayoral candidates who have links to Ed Burke? Correction: An earlier version of this post misstated the ward Ed Kelly represented. The little-followed 16th Ward race highlights the shifting influence of ward committeemen, a position long known to drive patronage and corruption in Chicago politics. Both the Lightfoot and Preckwinkle campaigns are courting Latinx voters, who have historically voted along identity politics in recent Chicago elections. As this piece chronicles, the racial/racist politicking which we witnessed during the Obama years and now in the Trump era, were presaged by the openly racist campaigns against Harold Washington in 1983 and the subsequent out-and-out, in your face white supremacist efforts to derail and deny him even small or symbolic victories. Correction needed here. Ed Kelly was the 47th Ward boss, not 49th Ward. Thank you for flagging this. Correction has been made. Typical racist democrat, the party of racism.